At the end of last week a large wooden crate arrived at the Robotics Lab at Heriot-Watt University. Since then our team has been busy unpacking and assembling our latest piece of equipment. 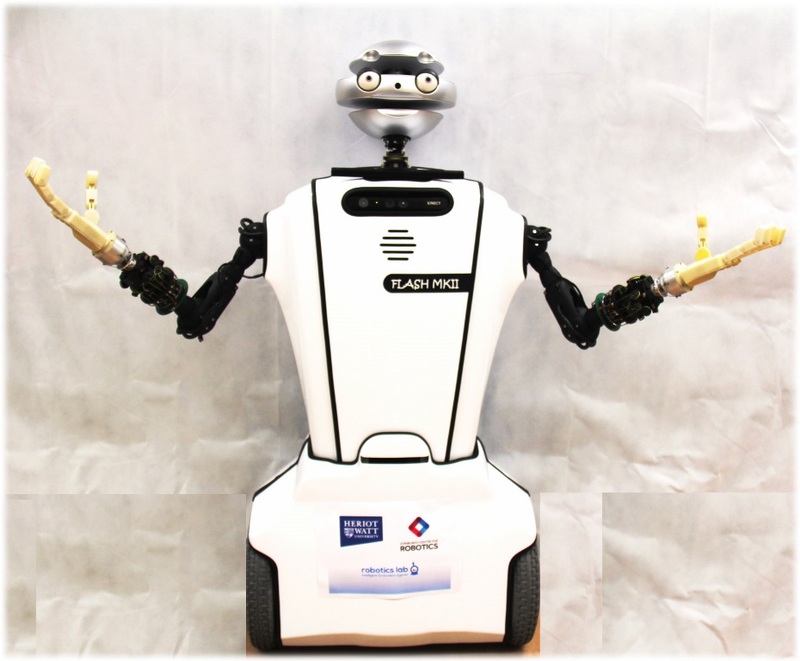 We are now delighted to share images of the FLASH robot, the latest addition to the Robotics Lab. His unique, mechanoidal appearance allows him to avoid the uncanny valley phenomenon and use gestures, face and the whole body to efficiently express emotions.